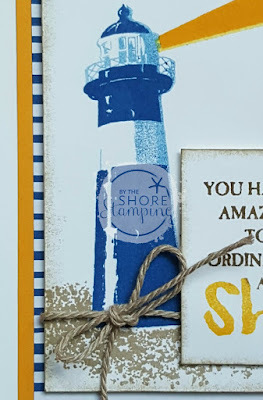 By The Shore Stamping with Jen Pitta: New Color Week: Day 7! 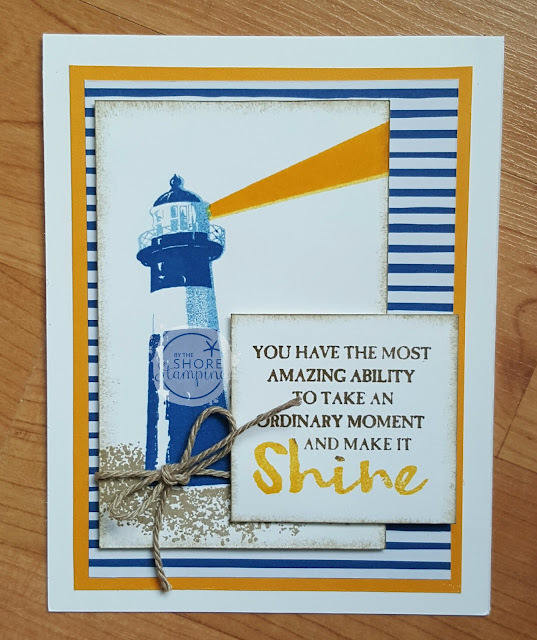 We're in the home stretch of my New Color Week kicking off the brand new colors introduced in the 2018-2019 Stampin' Up catalog. And I think I've saved my two favorite cards for last. Today's card is a favorite because it uses my much loved High Tide stamp set. Nice and "beachy" just the way I like it! Today's color combo features the brand new Blueberry Bushel and Mango Melody. Of course there is some Crumb Cake in there as well and a bit of Soft Suede. This color combo actually matches the new Best Route Suite -- it has some amazing Memories and More cards that are going to be great for those travel albums! - Plus, if you join during New Color Week (by June 11), you'll receive my color swatch tags as my gift for free! (you can see the image of that in the screen shot for the video above). Let me know if you have any questions and if you'd like to join Color Club, email me at jen pitta (at) comcast (dot) net!